Synopsis: An anthology of three fairy tales based on the classic 17th century Italian collection the Pentamerone (Tale of Tales). Fairy tales have long been source material for squeaky clean Disney animation and other children's fare, but the centuries-old original stories were edgier affairs with a darker tone that at times bordered on horror, an association that genre films like Snow White: A Tale of Terror, The Company of Wolves, Rumpelstiltskin and Hansel & Gretel: Witch Hunters have exploited in past years. Though not explicitly a horror movie, Tale of Tales similarly mines the morbidity, sexuality and grotesqueness of those tales, adapting three stories from the seventeenth-century Italian tome the Pentamerone, believed to be the first collection of fairy tales, which included early versions of "Cinderella," "Sleeping Beauty," "Puss in Boots," "Snow White," "Rapunzel," "Hansel and Gretel" and more. 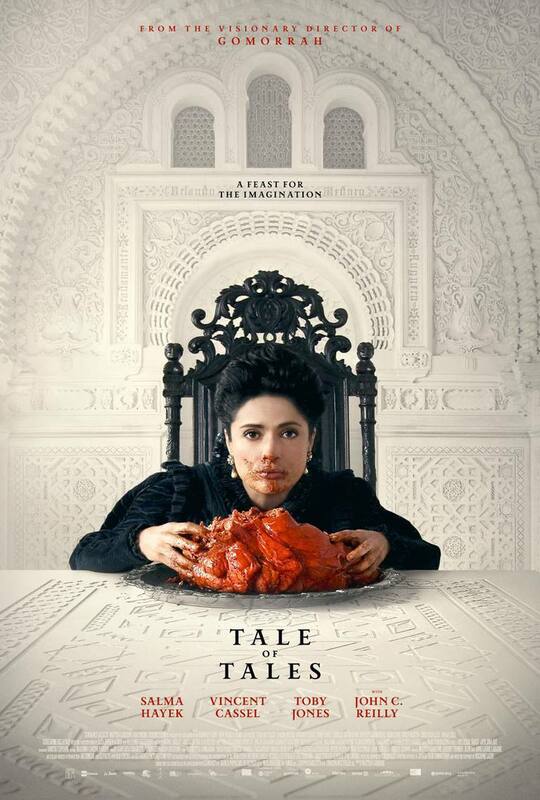 Tale of Tales features three intertwined, seemingly simultaneous stories, each taking place in a different kingdom and revolving around a different monarch. In the first, when a queen (Salma Hayek) is unable to bear a child, her king (John C. Reilly) heeds the advice of a mysterious stranger who claims she can become pregnant by eating the heart of an underwater dragon. 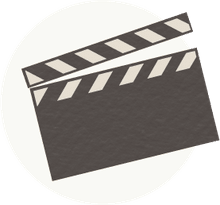 In the second story, a king (Toby Jones) becomes obsessed with his pet flea, neglecting his daughter's needs to such an extent that she's whisked away against her will by a hideous ogre. In the third, a lascivious king (Vincent Cassel) becomes convinced a nearby home contains a beautiful young woman when in fact it houses two decrepit old hags. Eager to gain from his erroneous assumption, the sisters go to extreme measures to make it appear one of them is indeed the beauty he envisions. Tale of Tales captures the sense of wonder you'd expect from a fairy tale, albeit with a very adult spin, delivering stunning visuals -- both picturesque and preposterous -- and macabre, surreal story lines, not unlike what Terry Gilliam might have delivered in his heyday. By choosing lesser-known tales from the Pentamerone -- "The Enchanted Doe," "The Flea" and "The Old Woman Who Was Skinned" -- the film maintains a sense of mystery as the plots meander in unpredictable directions far removed from where they began. It could be argued, though, that due to the antiquated nature of the tales, they meander too much and fail to deliver much of a payoff at the end. Still, there's a charmingly simple nature to the narratives. Despite the two-hour-plus running time, the pace is quick with continuous movement and not much dialogue. The broad characters and emotions mask the depth of morals about selfishness and pride and the extent to which one's sins come back to haunt you. The cast is excellent, even if the fanciful material isn't exactly heavy hitting, but the true stars are director Matteo Garrone (Gomorrah) and veteran cinematographer Peter Suschitzky, who has been David Cronenberg's DP of choice since Dead Ringers and no doubt taps his experience with Cronenberg's penchant for the morbid and the dreamlike to convey the weird, wondrous images in Tale of Tales. The effects impressively appear to be largely practical, with little obvious CGI (although no doubt there was some) and dazzling real-world locales. It's no children's story, but like an R-rated Big Fish, Tale of Tales has the epic scope and fantastic imagination to engender a childlike fascination in all of us.